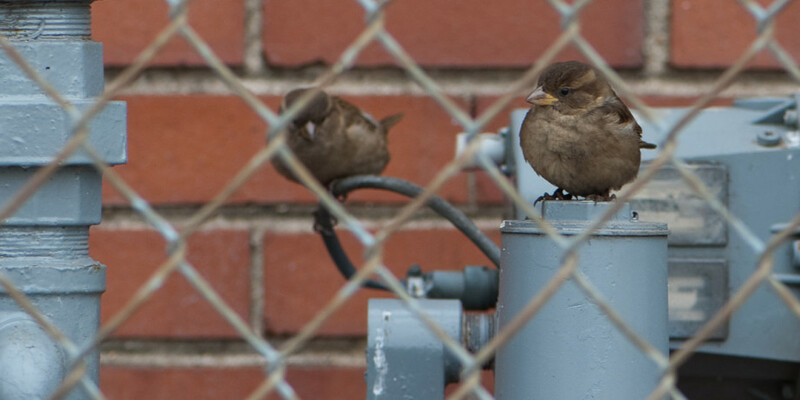 These birds had a false sense of security sitting behind the fence. I couldn’t believe how close they would let me get. Cute! i like the way the right bird appers in the square of the fence!